Molly Killen and Joshua Nunley were married May 12, 2018 at 12:00 in the afternoon at Sunset Key Cottages in Key West, Fla. with Rev. Steve Torrence officiating. The couple had a reception following the ceremony at the Salty Angler restaurant in Key West. The bride is the daughter of Eric and Mary Killen of Killen, Ala. She is the granddaughter of Derrick and Rebecca Killen of Florence. The groom is the son of David Nunley of Monteagle, Tenn. and Jean Southerland of Rock Island, Tenn. He is the grandson of the late Robert and Jeanette Soilfies and Billie Faye Nunley and the late Carl Nunley. The bride chose her gown from David’s Bridal in Huntsville. She carried a bible that the groom’s grandparents got married with and a charm of her late great-grandmother (Claythal Killen) around her bouquet. The bridesmaid’s dresses were chosen at David’s Bridal in Huntsville and the groom’s suits were purchased at Men’s Warehouse in Huntsville. Matron of honor was Tiffany Harbison of Arley, Ala. and maid of honor was Dana Dittoe of Springdale, Ark., best friends of the bride. Best man was Clay Gill of Murfreesboro, Tenn., lifelong friend of the groom since kindergarten. Groomsman was Josh Garner of Bon Aqua, Tenn., longtime friend of the groom. Wedding director was Eric Killen and floral designer was Mary Killen. Wedding cakes were made by Yummies Bakery. Entertaining guests at the reception was the band Bama Border. Other special helpers were the servers from City Hardware. Hair stylist was Dana Dittoe and make-up artist was Tiffany Harbison. 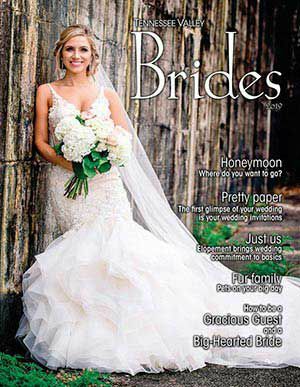 Photographer was Sarah Legittino of Bella Bloom and videographers were Joanna Cooper of Soundwave in Key West, Fla. and Hunter Nicholson did the reception video in Florence. After a honeymoon at Paradise Cove, an all inclusive resort in Jamaica, the couple is now residing in Lexington. Family and friends gathered to celebrate the new Mr. & Mrs. Nunley on Saturday, May 26, 2018 at the home of the bride’s parents. Tent and rentals were provided by Party Pros. Mother of the bride, Connie Sparks, and family friends decorated for the celebration. Guests feasted on appetizers, steaks and sides prepared by the father of the bride and friends. Bride and groom’s cakes were provided by Yummie’s Bakery. Reception entertainment was the Bama Border band and keepsake photos were made at the Class Act Photo Booth by Gary Ragsdale.